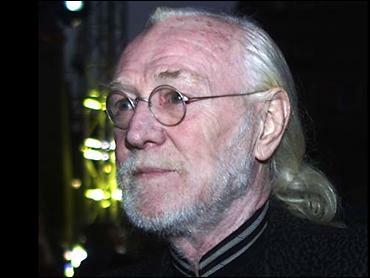 Actor Richard Harris, who stars as Professor Albus Dumbledore in the Harry Potter movies, is in the hospital following treatment for cancer, his agent said Wednesday. The veteran Irish actor fell ill in August after filming the second Harry Potter film, "The Chamber of Secrets," and went to a hospital suffering with a severe chest infection, his London-based agent Sharon Thomas said. She said the 72-year-old had been in University College Hospital, central London for two months, where he has had a course of chemotherapy for Hodgkin's disease. "He has responded extremely well to treatment. He will be out of hospital very soon," Thomas said. She said Harris would be available for filming the third movie based on author J.K. Rowling's boy wizard, "The Prisoner of Azkaban." Hodgkin's disease is the most common type of lymphoma — a cancer of the lymphatic system, which is a network of thin tubes that carry disease-fighting white blood cells throughout the body. It occurs when the cells grow abnormally and collect to form tumors, often in the lymph nodes. Harris also played King Arthur in the musical "Camelot" (1967), surprising many with his singing, and reprised the role in 1982 on stage, filling in for an ailing Richard Burton. In fact, he bought out the show's producers himself and continued in the role for five years. He even had a hit record with "MacArthur Park" in 1968. He picked up his second Best Actor Academy Award nomination in 1990 for "The Field." Born Oct. 1, 1930, in Limerick, Ireland, Harris survived a near-fatal overdose of cocaine in 1978, and went on to kick his long-standing alcohol addiction. Dumbledore might not seem like a typical Richard Harris role, but reportedly he took the part after his 11-year-old niece threatened never to speak to him again if he didn't.